It has been well over a year since I last shared some favorite center activities, so it's time for an update! 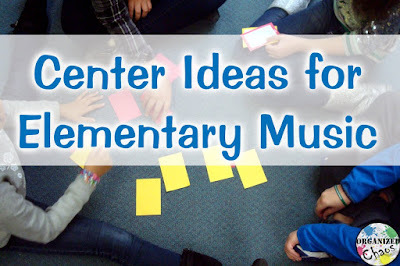 I've found some new favorites since my last post, but be sure to check out my other center ideas linked at the end of this one for more ideas- all of them are still ones I use and love as well! I love pulling out the chromebooks for centers- I have 3 in my classroom and have found so many great free sites that are perfect for elementary students to explore! 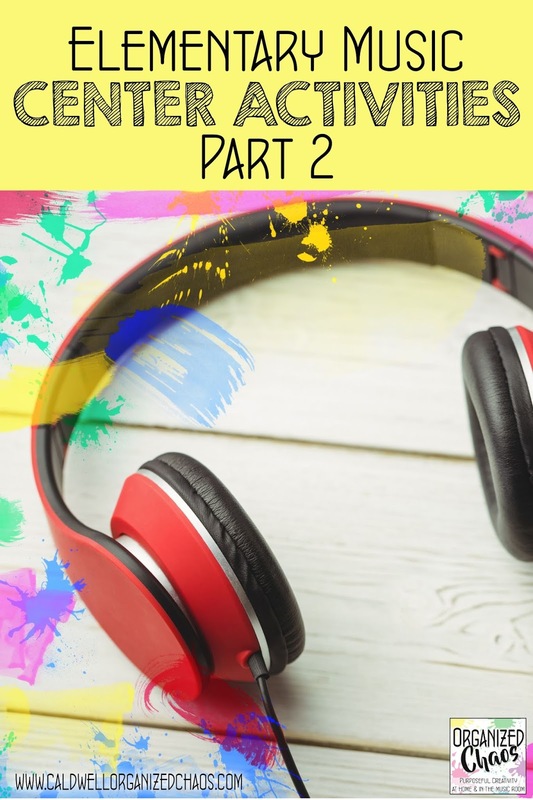 I save Incredibox for the older students, but Chrome Music Lab is one I use with all grades- sometimes I will give them a specific activity within the lab, like songmaker, to work with, and other times I will let them explore whichever ones they want. I wrote an entire post about this, which you can read right here, but this is probably my top favorite of my new center ideas. This is another one I save for upper elementary (gotta keep things fresh! ), and they absolutely love it. Basically there are 2 decks of cards: one for "truths" (trivia questions about music) and one for "dares" (actions to complete, like performing a rhythm or singing a song). It is so easy to set up and explain, the students get so much great exploration and review time, and it is pure fun at the same time! This is one I use just with lower elementary: I put out pipe cleaners (I find them at Dollar Tree or on clearance at Walmart) in all different colors and sizes, and have students create a line that the others then sing as they trace it with their finger. So simple but they love it! This is another new favorite for all grades (and the older students don't mind doing it over and over either!). I use 2 dry erase dice: one with classroom percussion instrument names on each side, and the other with a simple 4-beat rhythm on each side. They roll the dice, then play the rhythm they rolled on the instrument they rolled. Sometimes I mix it up with a third die for older grades that has dynamics or tempo words on it! I have been amazed at how much my students enjoy coloring. I found this coloring book that I have copied pages from, and I've also used the coloring pages from World Music with DARIA (she has lots of free ones!). I like using the ones that encourage reflection, like listing their favorite songs or artists, for the older ones, and the instrument pictures for the younger ones so they can learn what the instruments look like. I love using centers to mix things up every now and then and give students a chance to explore and practice in a low-pressure setting. 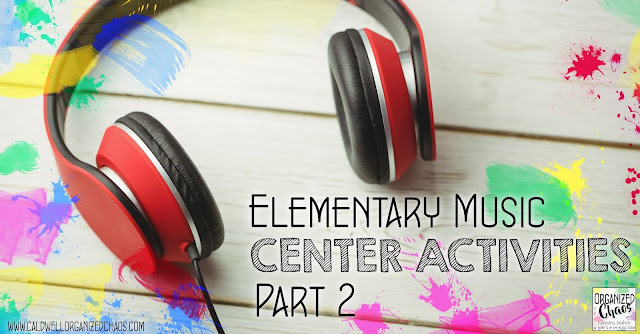 Have other favorite center activities you've had success with in the elementary music room? Please share them below in the comments!